Congratulations to Melvita Malaysia for launching their online shopping store. It really makes it easier for their customers to shop without needing to be at the store. Imagine you are too busy to even go out to get a gift, now you can ordered it online. Imagine this scenario ops can't attend your bestie's birthday party because you're stuck at work. You go on Melvita Malaysia to get a gift and it arrives on your bestie's table (at work because there's where she'll get the surprise and have all her colleagues say wow your friend is so niceeeeeeeeeeeee) - I'm day dreaming now. 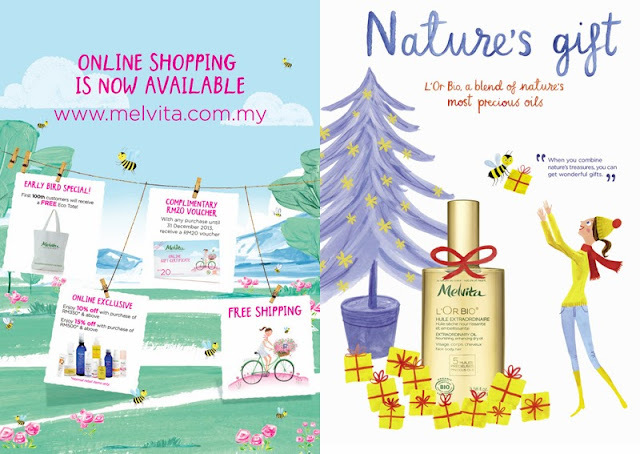 Melvita Malaysia is giving a early bird goodie for customers who becomes the first 100 shoppers online. It's a tote bag valued at RM15. I really think Melvita Malaysia should have given a good rebate or discounts for early bird specials. Travel size products or a starter kit would be attractive. Tote bags are given rampantly everywhere, it has become not very attractive to own. In fact I am throwing away tote bags from shopping because there is just too many. do we lose out in membership benefits? I have a few questions though. Like for instance if we (Melvita members) shop on Melvita Online. Trying to figure if as a member, it would be best to shop where? I didn't spot a Melvita member account registration slot during registering my account on this site so curious. Do we still get the 5% off retail purchases (alright maybe this is a stupid question because retail means retail shop, but I still want to ask). Melvita: Members discount 5% is only valid for in store VIP members not online, however we do have online exclusives on special occasions. 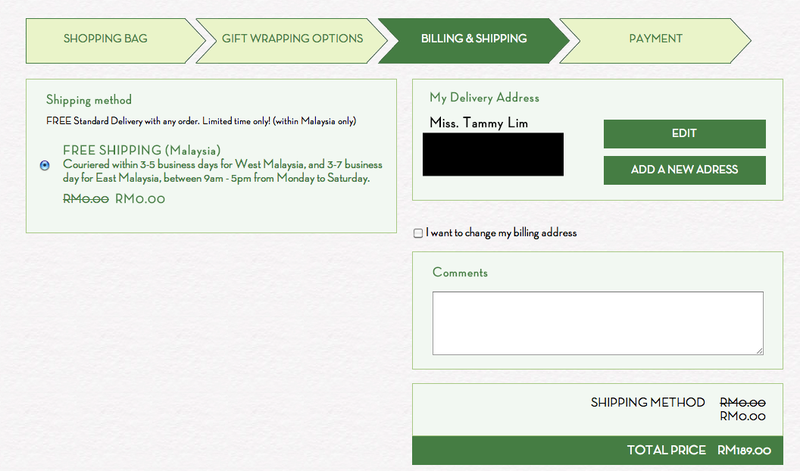 I see there's a online exclusive 10% off if we spent RM350. 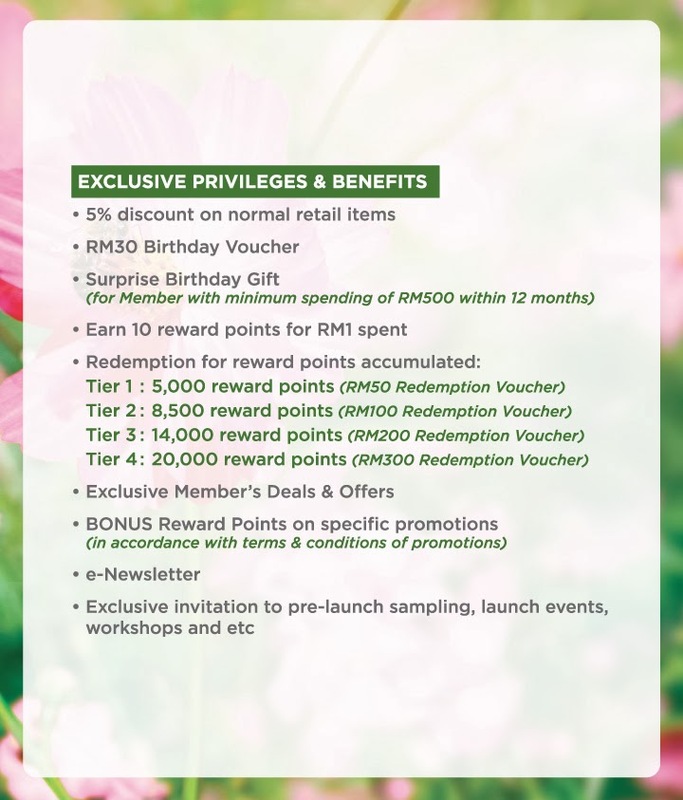 Is this in conjunction with the launch only or it's a online benefit? Melvita: In conjunction with the launch and only until 31st December 2013. 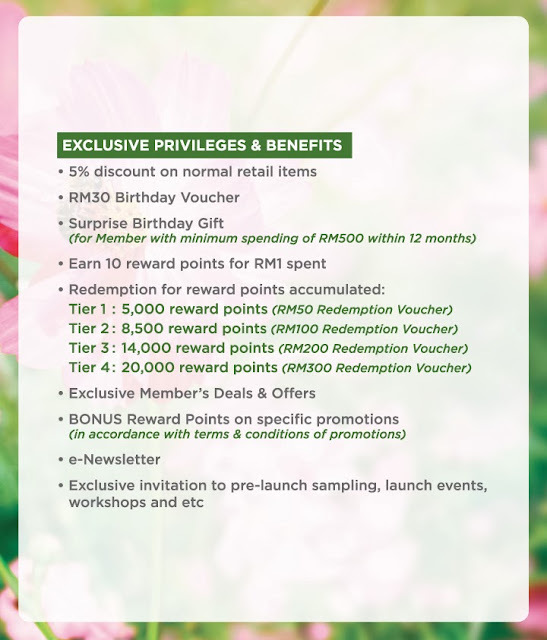 Do we get to collect our Melvita member points from purchasing online? 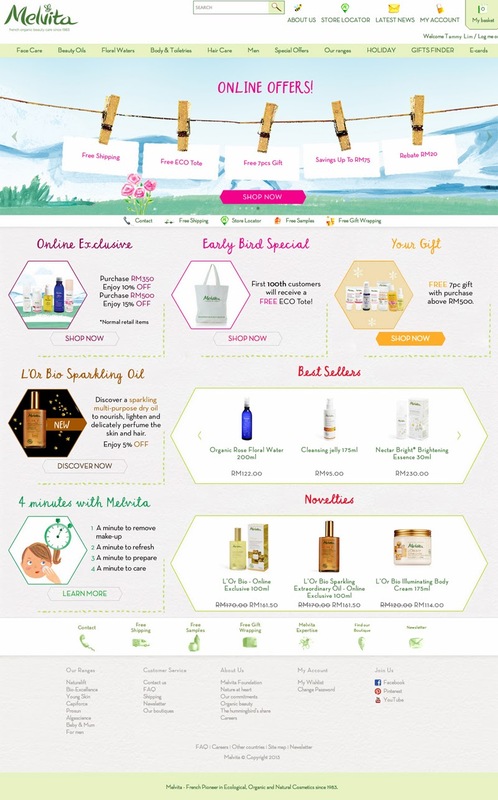 Melvita: No points collection for online shopping. Hope Melvita can let us know. Shopping online may be more convenient but ultimately I would like a good deal too because shopping malls has so much perks as well. I can say that gifting presents would be easier online now but wish the free shipping remains as a advantage. P.S: *Free shipping until 31st January 2014 with any purchase. Saw the BB cream at 1U, and was tempted to go try it, lol. 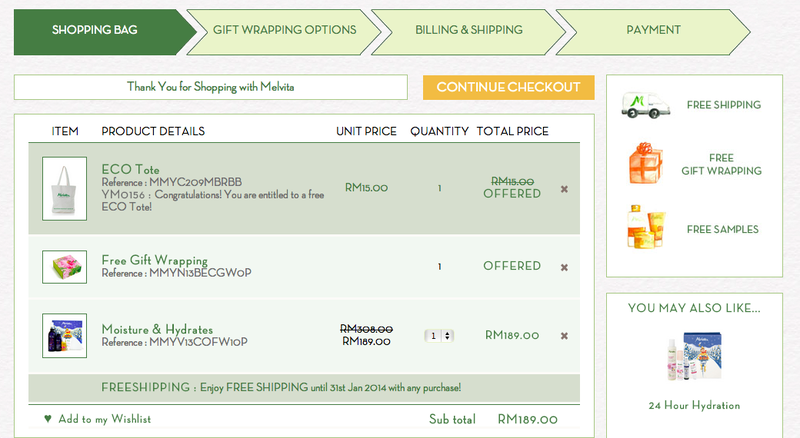 The online shop is a good idea, but no opening discount and tote bag? >_< Got too many tote bags edi. Just check them out, the product ranges are quite complete!